BREAKING NEWS …. BREAKING NEWS …. BREAKING NEWS …. Emmanuelle Alt will take over from Carine Roitfield as the Editor-in-Chief of Vogue Paris. GOOD THING #1: I was wondering if she’d be as photogenic as Carine, and judging from the photos below I can happily report that she will be. GOOD THING #2: I also love her styling, shown here. GOOD THING #3: Her husband is the art director at Isabel Marant, so we’ll see more of that label. I’d love to see their apartment . . .
You can get a feel for her personality in this video. She’s elegant and so French. She seems like a doll, I love her already, do you? 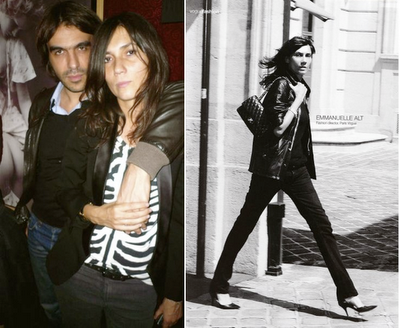 For more on Emmanuelle Alt, read here.